Yes, it’s been a while since I last posted anything. I’ve been pretty busy with setting up the sound studio at home (almost done), which included hanging doors between my existing office and the family room, moving the computer out of the room, and so on and so forth. Add to that being out of work, which has had an effect on my wanting to get anything done in the first place. I like working. I’m not the kind of person who is happy hanging out by the pool, relaxing, and doing and thinking about nothing- though that is nice for a vacation. 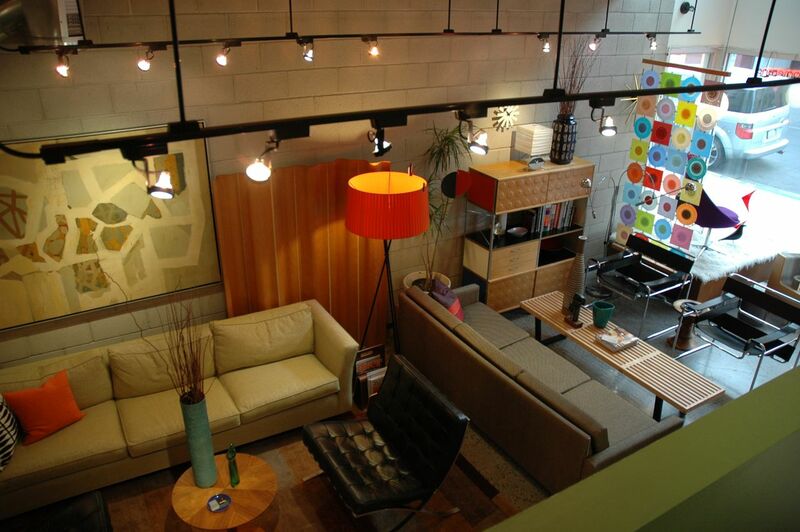 So, as I mentioned in this blog, and for people who know me, I really dig mid-century design, architecture, furniture, and so on. Luckily so do my wife and kids. We live in a 1950’s California Ranch with a big open living room and open beam ceilings, though we would someday like to live in a more mid-century modern home that’s more open, flatter roofs, big floor to ceiling windows, etc. Fortunately there’s a plethora of them in San Diego’s East County, where I happen to have been born, raised and still live in. 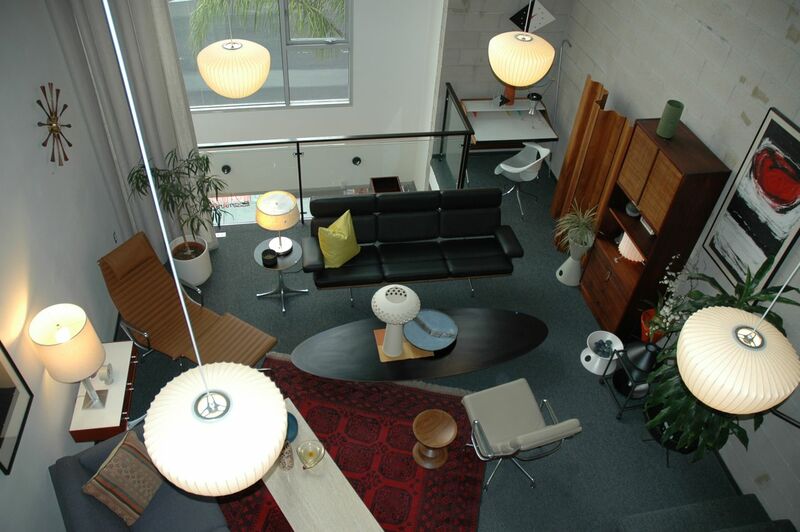 I’ve always appreciated mid-century architecture and design since I was a kid growing up in the 60’s (I was born in 1963), even before I knew what it really was. 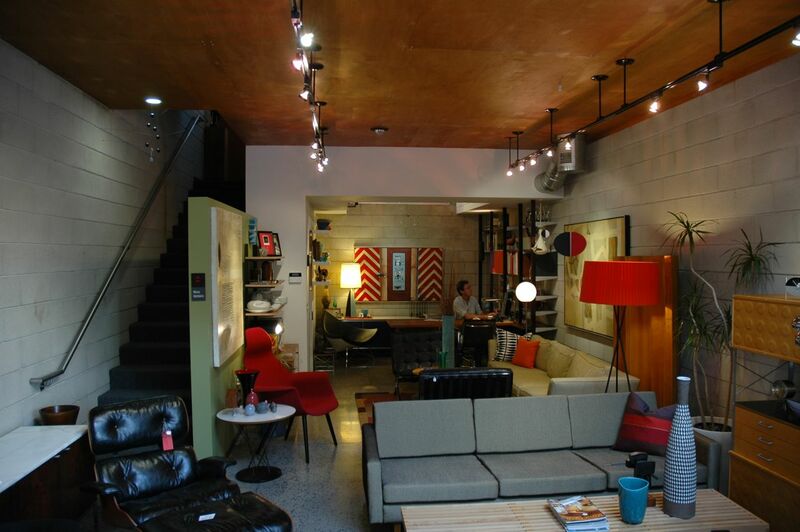 Coincidentally there happens to be some pretty cool shops in San Diego and a mid-century modern following among home-owners, designers, architects, and people in general. 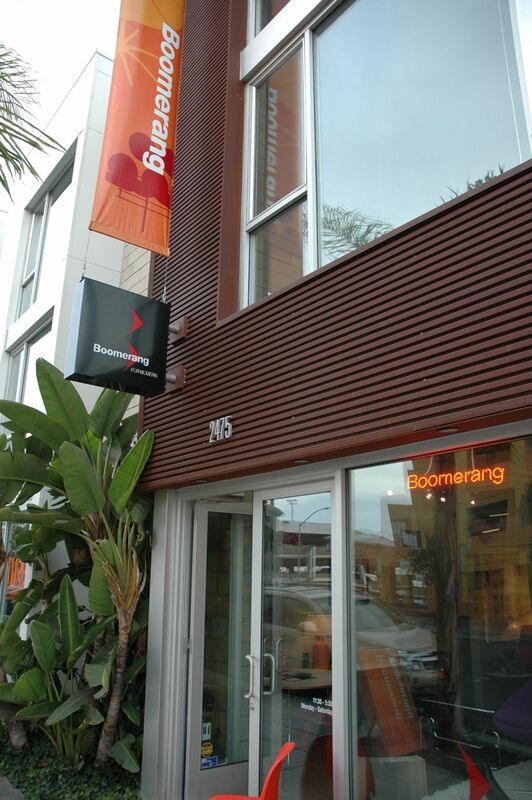 My favorite shop so far, located in the Little Italy area of downtown San Diego is Boomerang for Modern, located between Kalmia and Laurel on Kettner. If you walk in or look from the outside, it looks pretty small. But once you go in, be prepared to see some pretty cool stuff. The first floor is set up like a small living room/showroom. The second floor looks like a nice apartment living room and gives you an idea of what your place could look like, while the third floor is set up as a bedroom display. I highly suggest next time you’re downtown, check it out, sit and chat with David the owner, and maybe take something home. Pics after the jump. I like how your blog is laid out. I have bookmark this and look forward to see more.